We took the bullet train to Shanghai, getting McDonald’s congee for breakfast on the way just because we could. In Shanghai we were staying just across the street from a big fancy mall in a tiny AirBnB. Apparently this is the norm in Shanghai, as the average person has about 16 square meters of living space or something. Our AirBnB was a bit sketchy because its entrance was in a back alley near a tattoo parlour, but it was clean and cozy inside. The fancy mall is where we learned that everything is Shanghai is SO EXPENSIVE. Even ignoring the fact that the mall was entirely luxury brands, the major supermarket sold mainly imported goods, which were twice the price as the local goods we were used to buying. On the plus side, this meant we could get all the stuff we had been missing, like real cheese and New Zealand apples. 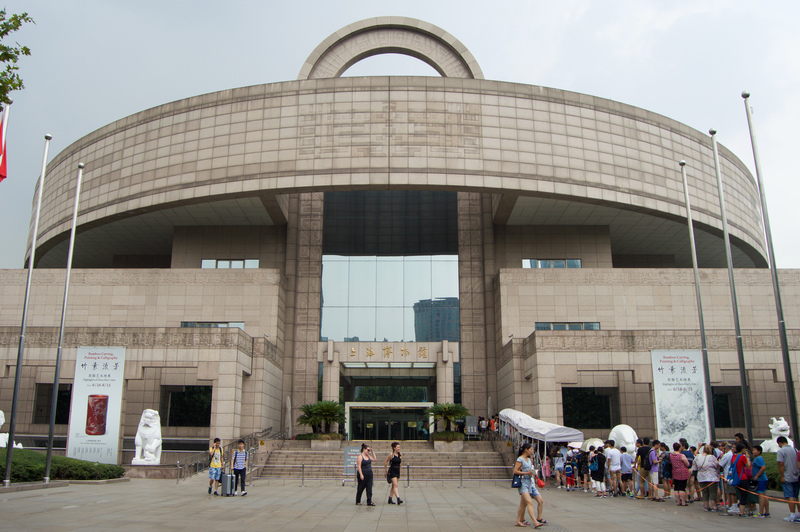 The Shanghai Museum is built in the shape of a giant Chinese cooking pot. It has galleries dedicated to all sorts of old and new types of Chinese art, including bronzes, ceramics, paintings, and calligraphy. 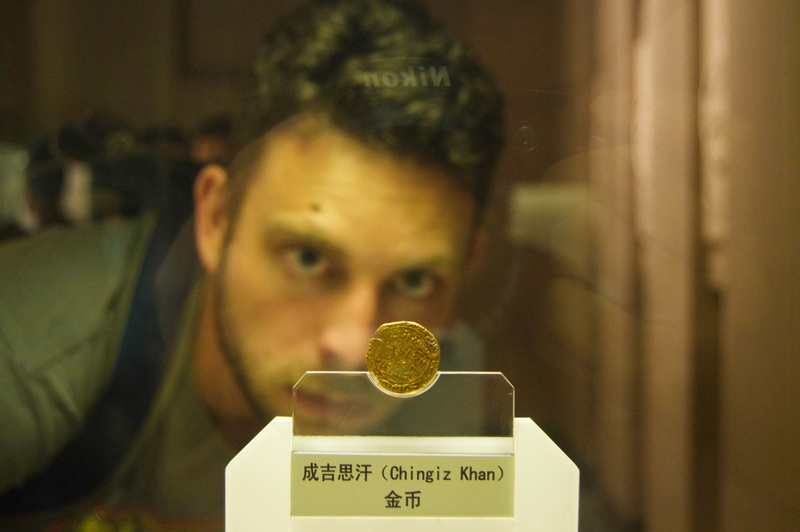 It also had some pretty crazy old coins and of course elaborately carved furniture, Chris’s favourite part. We initially looked at the coin exhibit, looking at all the different old ways coins were made. Some were in some pretty stupid shapes, like shovels or swords (so annoying to carry one assumes) but some were pretty cool (the classic ones with holes in the middle that you can keep on a string, etc.). Chris was in a fog because he had a nasty cold so we ended up looking at half the exhibits and then kind of aborted the day to rest and recover. 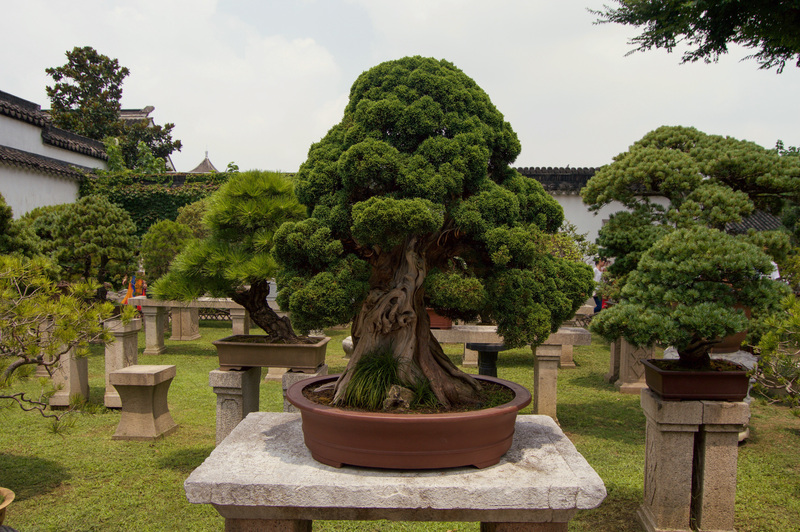 We took a day trip out to the nearby town of Suzhou, famed for its gardens. 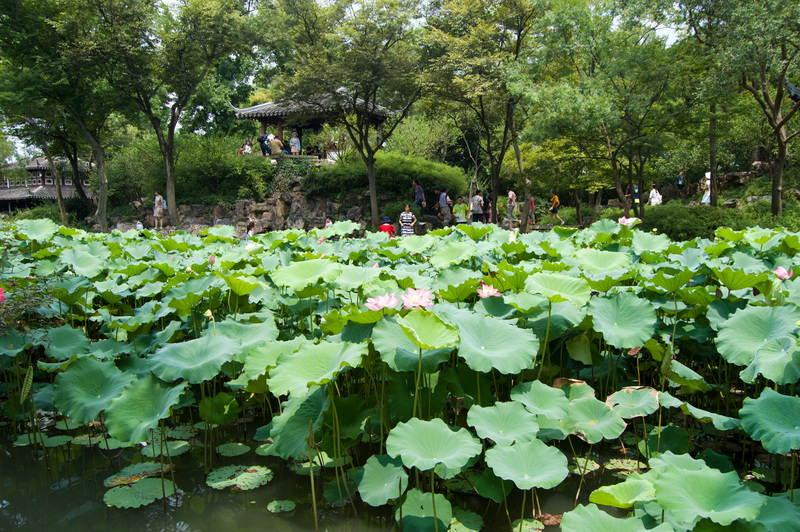 The most famous of these is the Humble Administrator’s Garden, which is quite large and basically a maze of lotus-filled koi ponds, bonsai trees, and whimsically named temples. However, being the most famous meant it was also the busiest, and we spent our visit basically walking around in a procession of enthused Chinese tourists. So it wasn’t quite the peaceful experience that I think it was intended to be (and that we had envisioned). For this reason we actually preferred the Master of the Nets Garden, which was a lot smaller but also way quieter. You could actually sit by the pond and watch the koi in this one. 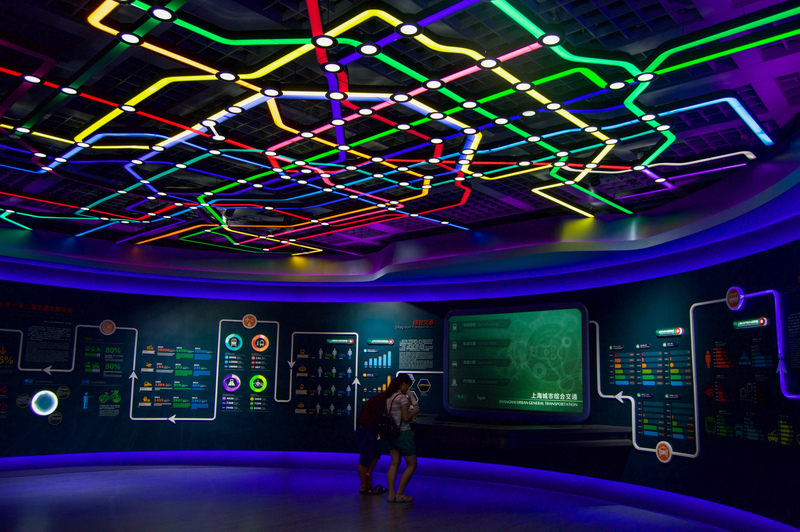 The Shanghai Urban Planning Exhibition Hall is one of those things we would have never thought to visit if a bunch of people on the internet hadn’t said it was cool. Despite sounding like something my dad would drag us all to on a family vacay, it was actually huge and pretty cool. There were various exhibits showing the evolution of Shanghai and its various neighbourhoods, showcasing different architects, and examining how infrastructure such as public transport has changed over time. 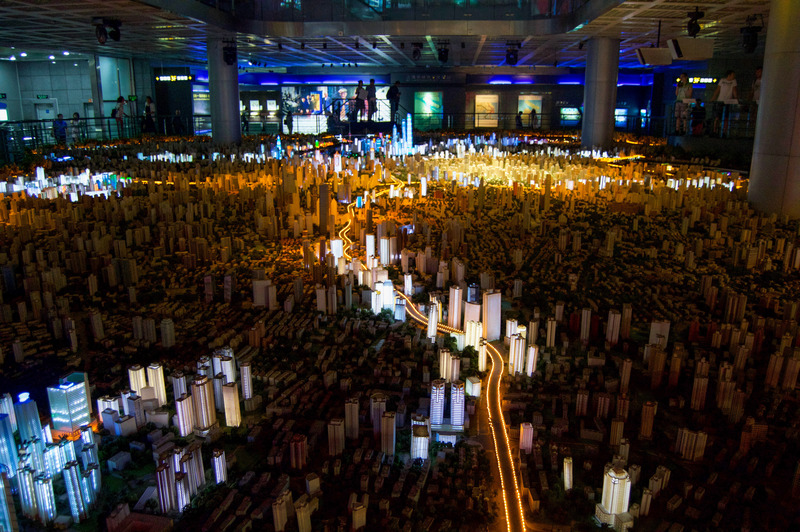 However, the highlight of the museum is a huge, lit up, 1/500 scale model of Shanghai. 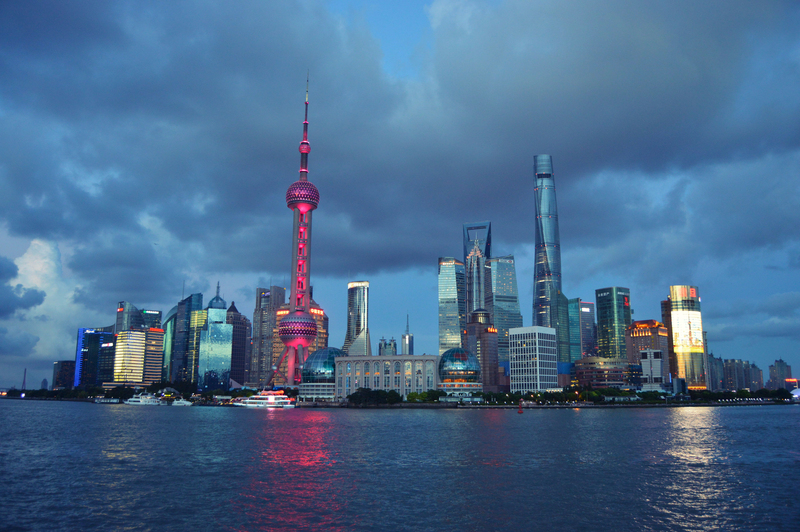 It changes colour to demonstrate what Shanghai looks like at different times of the day. Chris didn’t see much of the museum though, because he was having stomach problems and checked out all their toilets instead. Because I am a terrible person, this made me laugh quite hard. 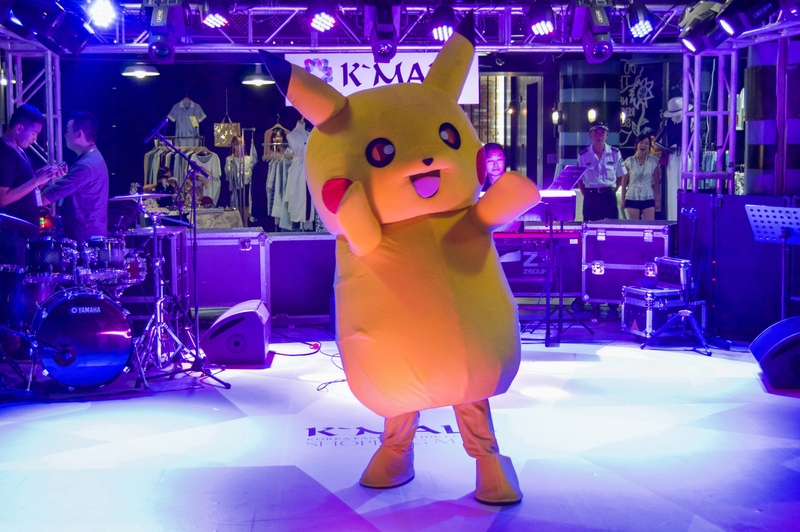 This has nothing to do with anything really but while trying to cross a giant street afterwards we accidentally ended up in an underground shopping complex where there was a dancing Pikachu. It was a grand opening of yet another mall I think. 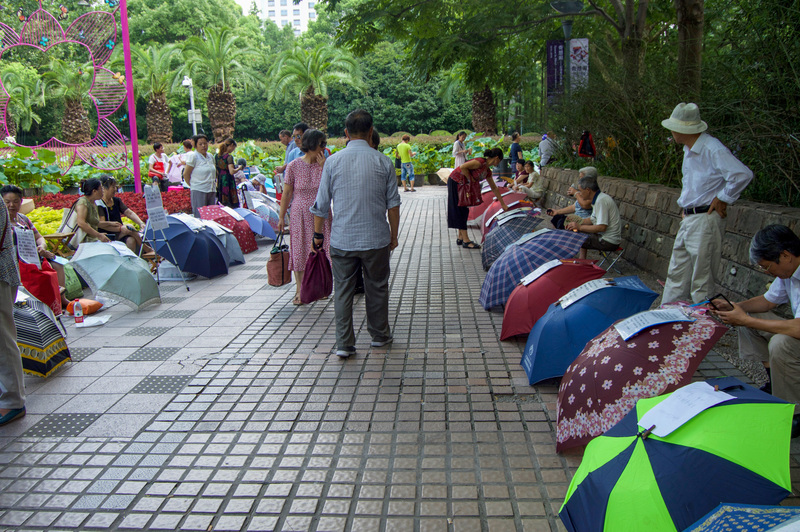 On the weekend in People’s Park there is something called a marriage market. It’s basically a meet up of parents trying to find potential spouses for their children. So kind of like taking out a dating ad, except instead of Craigslist it’s your mom with your profile written on a piece of paper and taped to an umbrella. The profiles included things like height, weight, age, and education. We noticed that a lot of them were our age, so apparently in China your late twenties is when the desperation sets in. Interestingly almost none of them had pictures, which was weird because if the number of Tindr users is anything to go by, that’s the most important part. The few pictures that existed looked like some kind of candid taken at a family gathering, as you’d expect from your mother. I think it is very likely that a lot of the parents come here without their offspring’s permission. 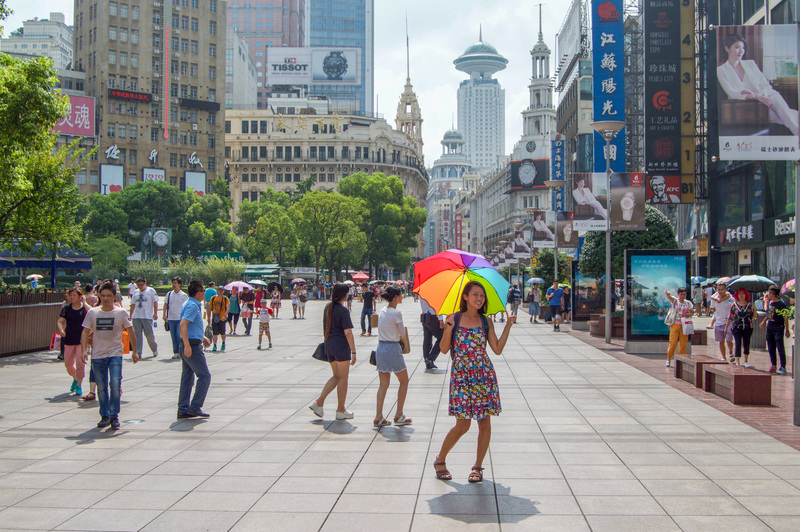 In downtown Shanghai there is a huge pedestrian street called Nanjing Road, which connects People’s Park to the Bund. We were originally here looking for dumplings, but failed and ended up with bubble tea and Subway sandwiches. There were tons of cool stores, but as Shanghai is so fashionable and trendy, they were also very expensive. 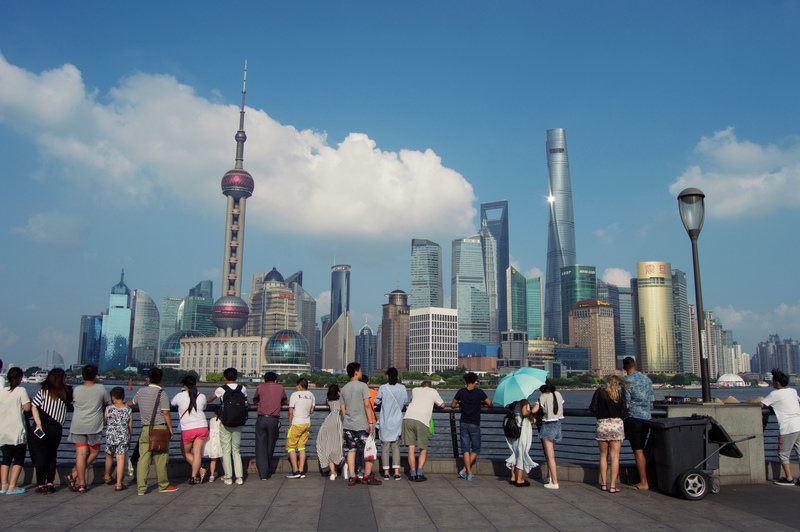 Probably the most famous part of Shanghai is The Bund, which is basically the section of the Huangpu River along which you can walk and view the famous Shanghai skyline created by the buildings in Pudong, the newer part of the city. Back in the day it was a British settlement, and then where all the international banks and trading houses came and set up offices, thus it’s very European-looking. So on the one side of the river you have the classic colonial architecture and on the other side you have the ultra modern skyscrapers that Shanghai is famous for. 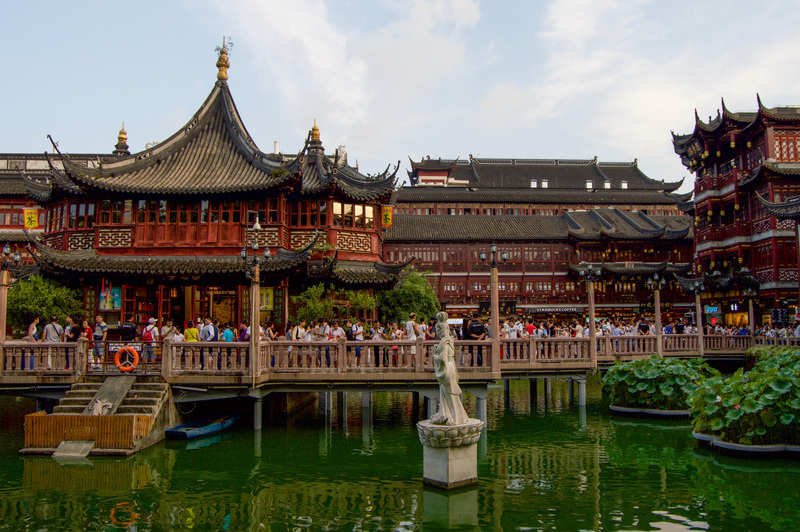 Close to The Bund is the Old City of Shanghai (exactly what it sounds like), home to Shanghai’s Yu Garden. It’s a tourist hotspot and has basically been reconstructed to look like an especially shiny version of its old self. The buildings are filled entirely with souvenir shops and places to eat, of both the Chinese and international fast food variety. 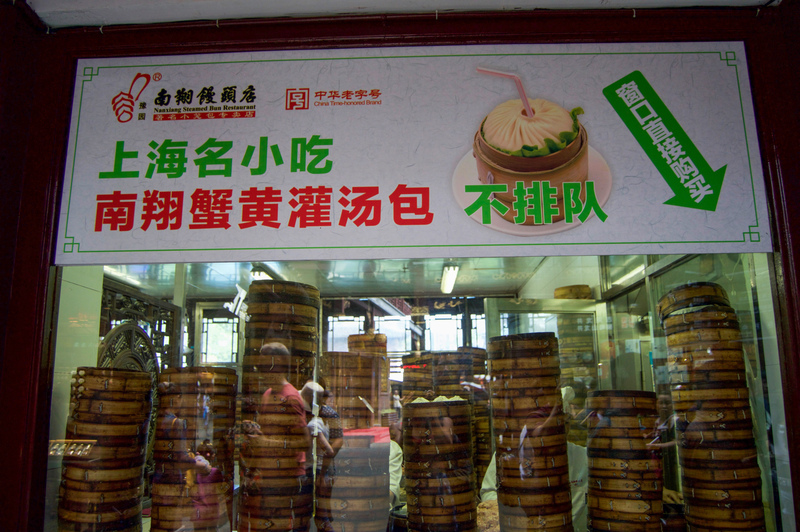 We decided to skip the Dairy Queen and instead brave the line for the famous Nanxiang Steamed Bun Restaurant. 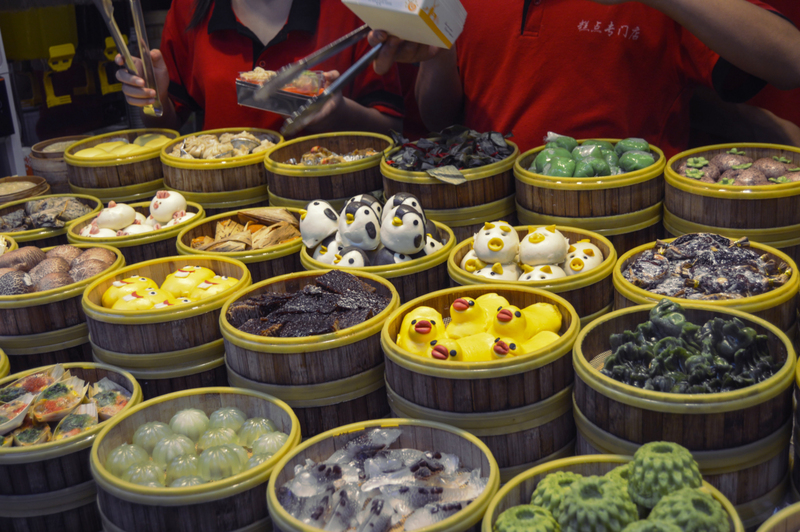 Here we filled up on delicious adorable dumplings, including ones shaped like little pigs! 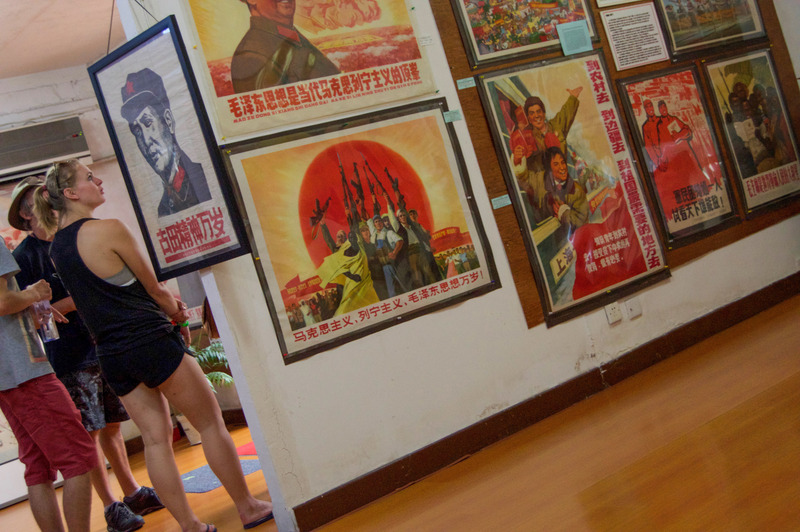 The propaganda museum was just something we stumbled upon on TripAdvisor with good reviews so since it was close by, we decided to check it out. It’s really weird because it’s in the basement of an apartment complex. If you didn’t have exact directions, you wouldn’t know it existed because there are no signs. The security guard for the apartments is obviously used to seeing bewildered tourists wander in and immediately handed us a little slip of paper with the directions on where to go. 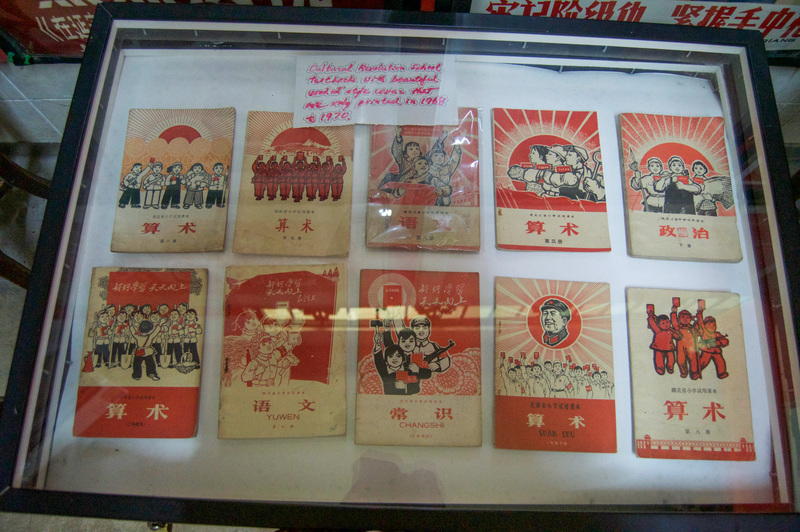 Inside the museum are a ton of old propaganda posters and Mao stuff. We weren’t sure if this was an officially sanctioned museum because (other than the obscure location) the first introductory sign to the exhibit was in both English and Chinese, but the rest of the signs were only in English. You weren’t supposed to take any pictures but I tried to sneak a few. The posters are actually quite hilarious because the messages are so blunt. For example, they would have a strong dragon boat with heroic looking Chinese people in it next to tiny insect-like people on a sinking raft to represent the Americans. Just no subtlety at all. There was also a “Yay for Science!”-type one where the scientist was a woman, which I appreciated, especially considering it’s from the 60’s or something. We bought some postcards as souvenirs to remember some of the better ones. Our AirBnB was near the French Concession, a kind of fancy, European-style area (because of it’s previous ownership by the French, thus the name) with big leafy boulevards and a lot of westernized restaurants due to the large number of expats that live there. One especially popular area is Tianzifeng, a series of winding laneways filled with boutiques, Instagram-worthy food, and hidden cafes. Across The Bund is the previously mentioned newer area of Shanghai called Pudong, which we visited via ferry. 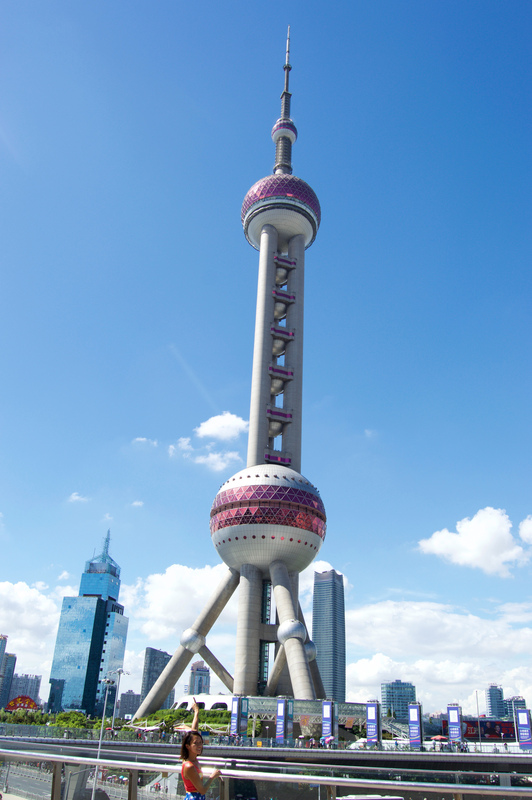 This is where Shanghai’s famously tall buildings are, including the Oriental Pearl Tower. We initially planned on going up, but scrapped that idea after discovering it meant several hours of standing in line. We went to Haagen Daz instead. 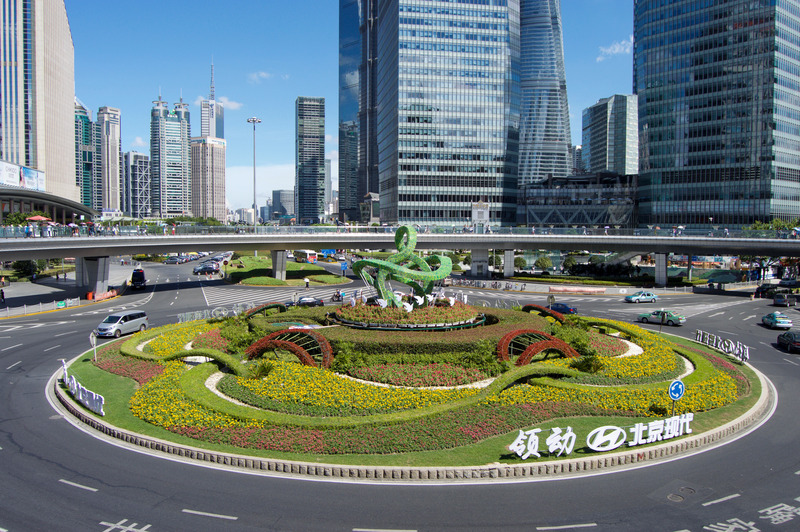 Pudong is cool because it has this giant circular pedestrian walkway above the road. Later we took the ferry back across the river to watch the buildings light up as the sun set. Because we were waiting to catch our train, but had to check out of our AirBnB, we spent our last day being rubes walking around the expensive mall while wearing our huge backpacks. We decided to also watch The Secret Life of Pets at the cinema, because we had confirmed that it would be in English (with subtitles)! Two fun things to note here: 1) You buy your 3D glasses separately from the ticket and then can keep them forever and theoretically keep bringing them back to watch future movies. This is so much less wasteful than the cash grab in North America. And 2) you have a choice between salty (regular) and sweet caramel popcorn! But Chris doesn’t like sweet popcorn so unfortunately we just had to get the regular stuff, in a non-explosively large container (North American portion sizes make everywhere else seem tiny). Next, it was on to Hong Kong!